1. 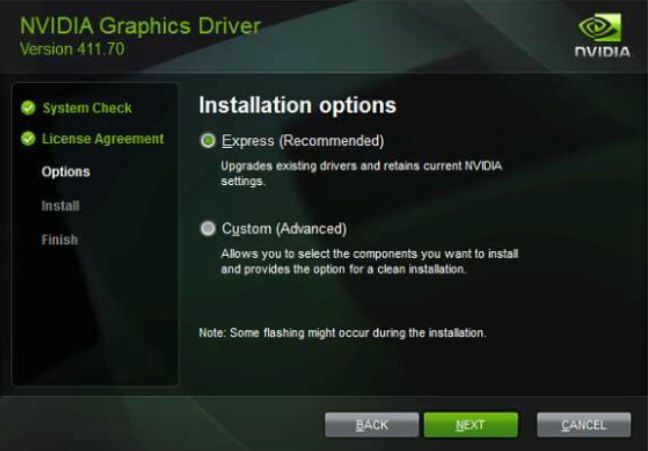 Check which NVIDIA graphics card your computer is running. 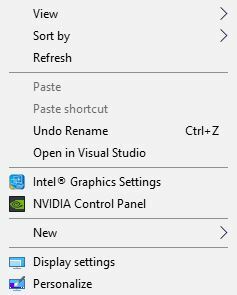 Right-click on the desktop access to personalization settings and select NVIDIA Control Panel. 2. 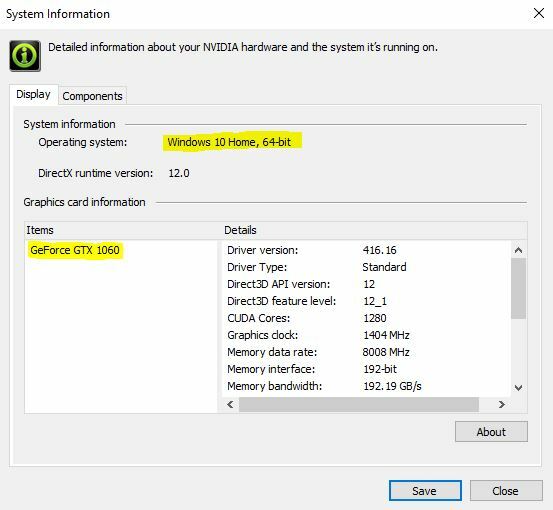 Click the system information link on the bottom-left and note your Operating System details and GeForce GTX model. 3. 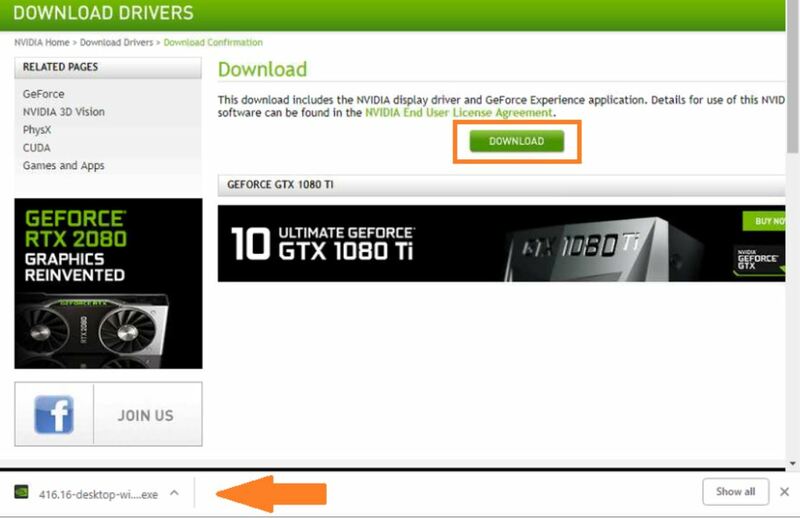 Visit https://www.nvidia.com/Download/index.aspx?lang=en-us and complete the drop-down fields to match your operating system and NVIDIA GeForce GTX model number from step 2. The product series dropdown will be 900 series for GeForce 970 cards and 10 series for GeForce 1060 cards. 4. Click search to display the new driver download, and then click download to download the updated driver. 5. The executable file (.exe) will begin the installation process. 6. Follow the prompts and select Express Installation. You will be prompted to restart the PC once the installation is completed. As always, please do not hesitate to contact us by phone: (877) 877-1310 or by email: support@seevividly.com if you have any questions.